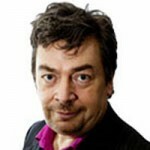 David Aaronovitch è editorialista di The Times. Ha lavorato inoltre per radio, tv e giornali. Ha pubblicato Paddling to Jerusalem (Fourth Estate, 2000) e Voodoo histories. The role of the conspiracy theory in shaping modern history (Jonathan Cape, 2009).